As companies reorganize and reengineer, thousands of people are finding themselves tossed into management every day. "You may go to bed as a member of the team and wake up to find yourself suddenly in charge," says Matuson. The key to success is managing effectively both up and down the line of organization. 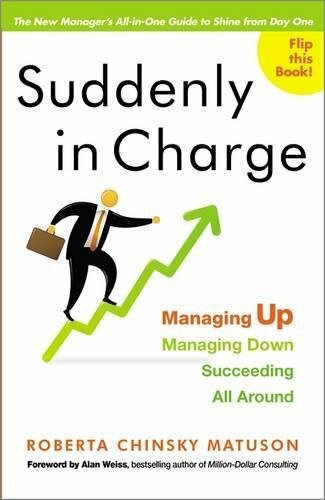 And Suddenly in Charge provides this unique approach with two books in one: read it in one direction and you'll find all the tips and tools you need to manage down, establishing credibility with your team and leading in a way that both builds rapport and garners respect. Flip the book over and you'll find success strategies for managing up, interacting successfully with your bosses and developing strong relationships. 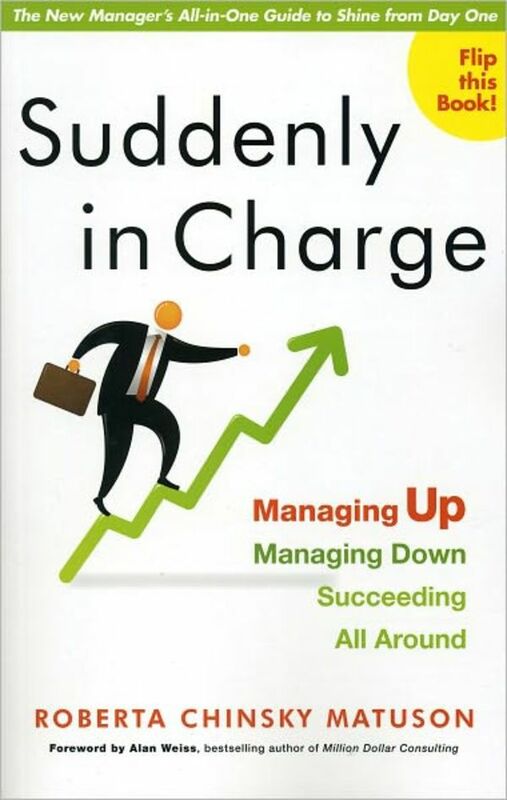 In the Managing Up side of the this book, you will learn how to manage your relationships and responsibilities as an employee, including how to understand the boss's style of management; deal with dictatorial, indecisive or otherwise difficult bosses; promote yourself; ask for raises; and know when it's time to leave a position. With key learning points, real-life examples and proved strategies for effective communication, Managing Up helps you navigate the world of office politics while staying true to yourself. The key to success is managing effectively both up and down the line of organization. In the Managing Down side of this book, you will learn how to manage your relationships and responsibilities as a boss, including how to stay sane during conflicts, evaluate performance, and make the hiring and firing process easier and more mutually beneficial. With key learning points, real-life examples and proven strategies for effective communication, Managing Down helps you clearly define your new role and cultivate an environment of engaged, motivated employees.